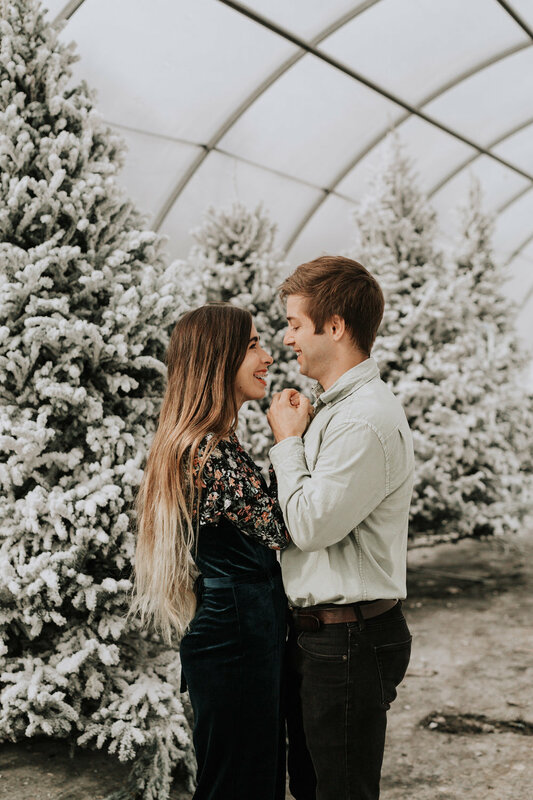 Jen and Kevin were a blast to photograph among the flocked trees at D’s Nursery in Baton Rouge. I stumbled upon the flocked trees while shooting at the nursery the week prior and I just had to go back to shoot among again. This is about as close to snow as we get in Louisiana so needless to say, I was superrr excited about this shoot. I’m so glad Jen and Kevin played along with my idea.